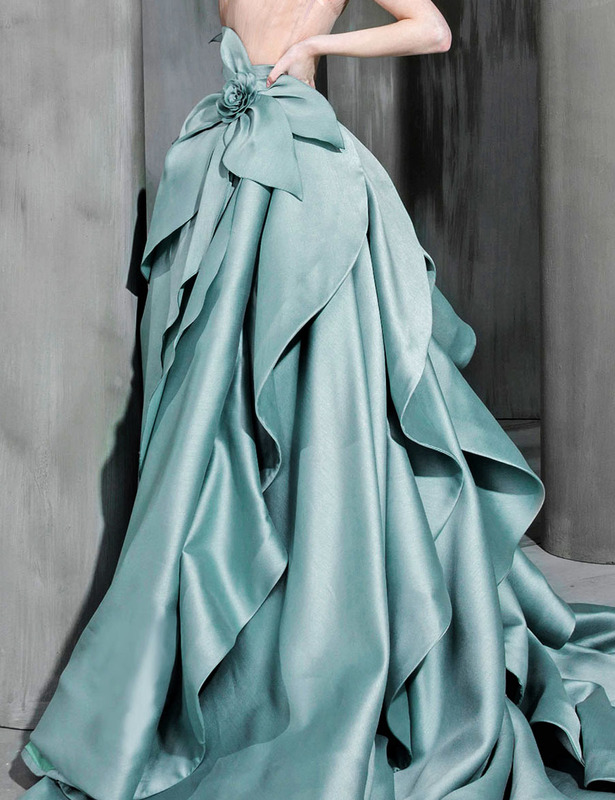 So many looks in Gucci's Fall '18 collection were accessorized with the house's rainbow jewelry. Crafted from gold-tone brass in the brand's archival 'GG' motif, this ring is encrusted with multicoloured crystals and designed to rest across two fingers. The array of colors will work with a variety of nail polishes - browse our selection to find the one that's right for you. 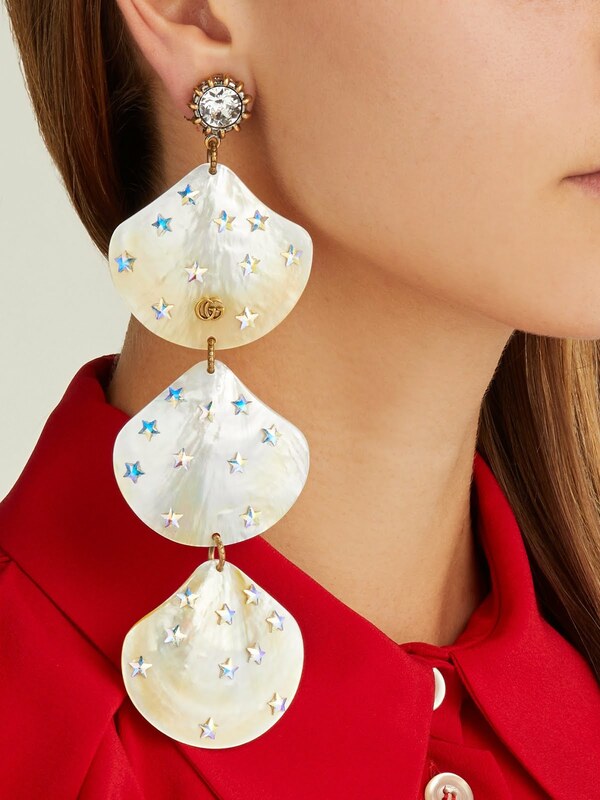 Mother-of-pearl shell earrings are a key accessory from Gucci's Resort 2019 runway show, and this drop iteration is a directional example. They're crafted in Italy from antiqued gold-tone brass with a faceted crystal stud and feature ivory shells set with iridescent stars and the label's hallmark GG plaque. 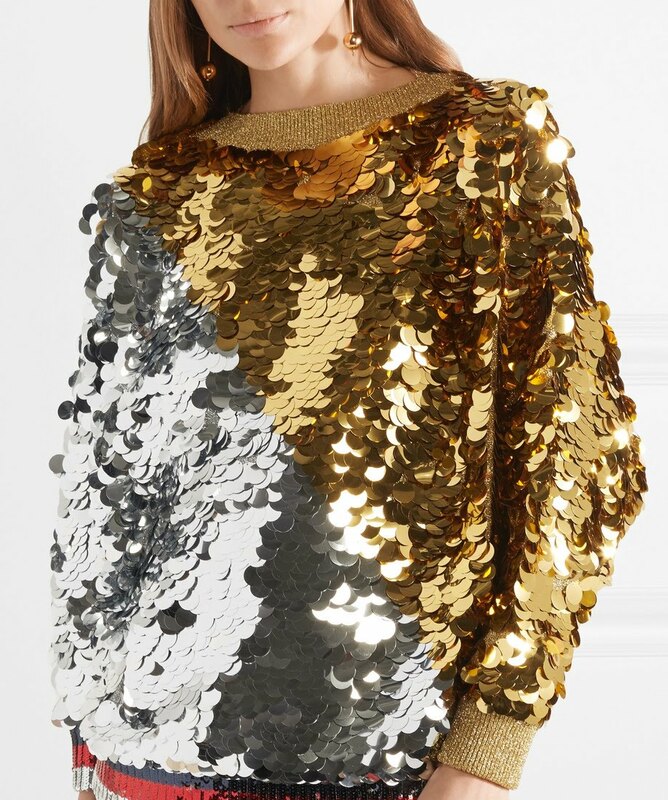 Use them to bring a touch of sparkle to an oversized red blouse throughout the social season. 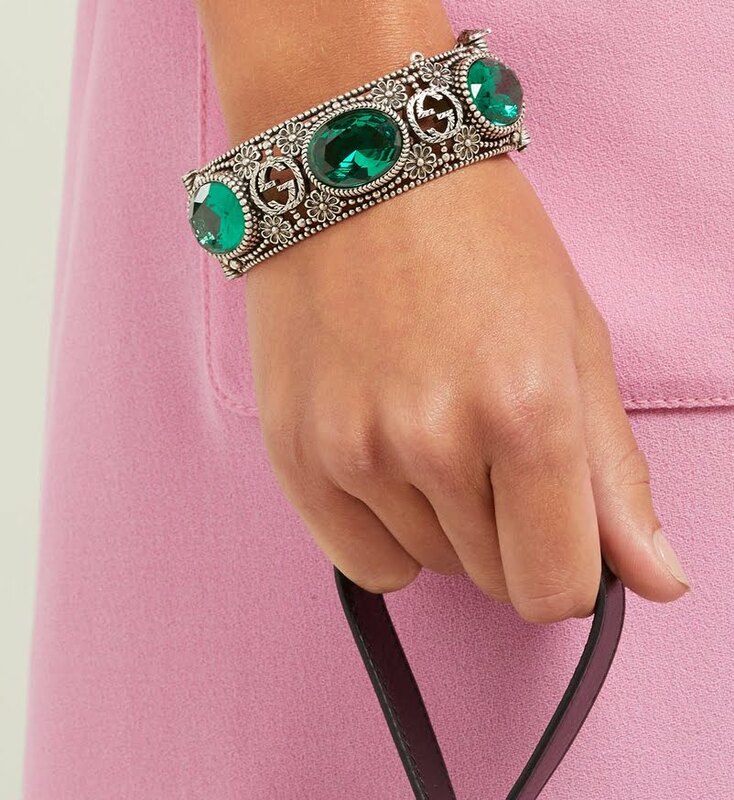 Bangles were stacked high on Gucci's AW18 runway at Paris Fashion Week, including this sterling silver GG style. 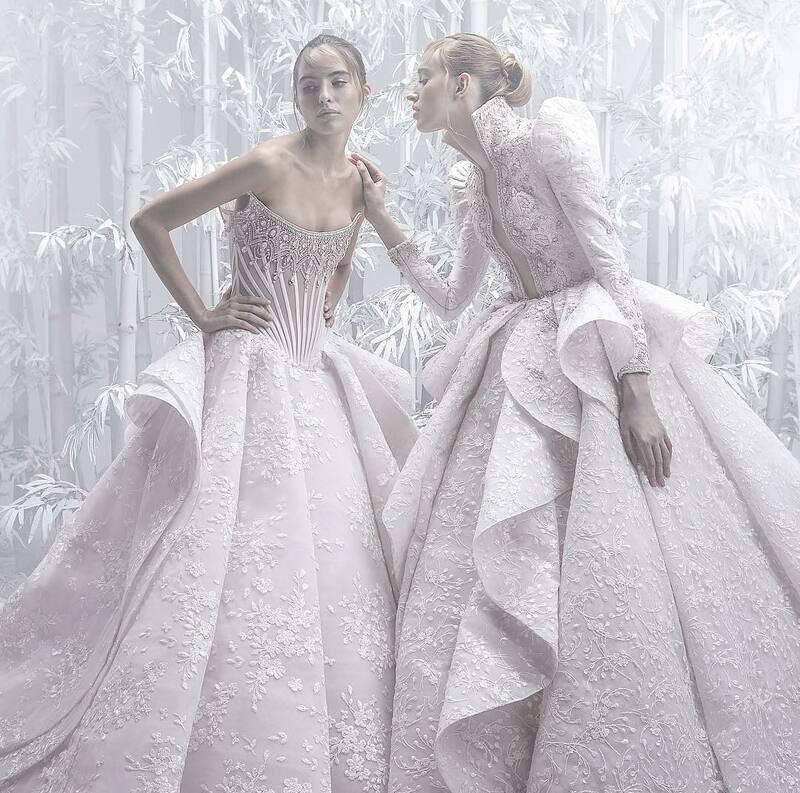 It's crafted in Italy with the namesake motif interspersed with flowers – an archival tradition of the house – punctuated with faceted green crystals, and secures with a tiger-head bayonet fastening, for a sense of old-world elegance. Style it with a candy-coloured midi dress for the most on-brand result. 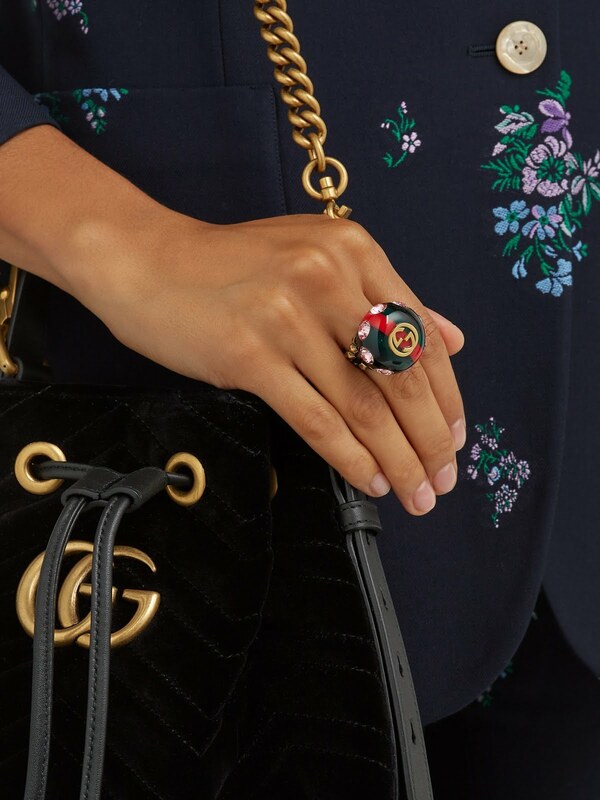 Gucci’s signature dual red and green Web-stripes is perfectly formed into smooth resin for this antiqued gold-tone metal GG ring. Crafted in Italy, it features the house’s namesake logo emblazoned on the front, set with pink crystals for a whimsical note of opulence. Harmonise the vertical stripes against a graphic top. For Spring '18, Alessandro Michele re-imagines Gucci's iconic 'GG' motif with vibrant, rainbow crystals. This bracelet has been made in Italy from burnished gold-plated brass and strung with three rows of lustrous faux pearls.